The algorithm is the set of rules that are followed by calculations and processes by computers. Learning how to design and analyze algorithms will put you in an advantage for your professional growth and development. 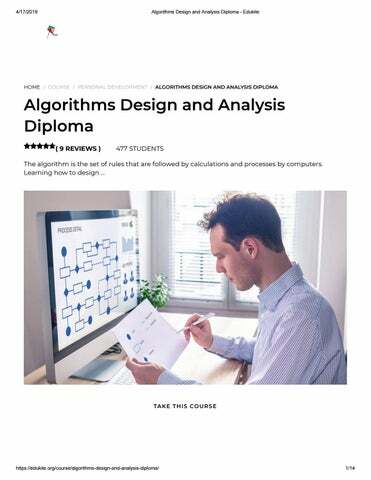 This Algorithms Design and Analysis Diploma will introduce you the teaching techniques focusing on the design and analysis of ef cient algorithm with emphasis on the methods of application. You will be provided with information on dynamic programming, complexity, etc. here. Assessment This course does not involve any written exams. 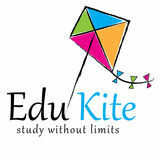 Students need to answer 5 assignment questions to complete the course, the answers will be in the form of written work in pdf or word. Students can write the answers in their own time. Each answer needs to be 200 words (1 Page). Once the answers are submitted, the tutor will check and assess the work.